WWF calls for a ban on the private ownership of tigers in the U.S.
Due to the recent tragic events in Ohio, which included tigers, the World Wildlife Fund (WWF) is calling for a ban on the private ownership of tigers in the U.S. Currently the number of captive tigers (approx. 5,000) outweighs the amount of tigers in the wild (approx. 3,200). The problem with privately owned tigers is that their numbers are not regulated, which makes them easy targets for the sale of tiger parts and products, and it also puts them at a higher risk for poaching. 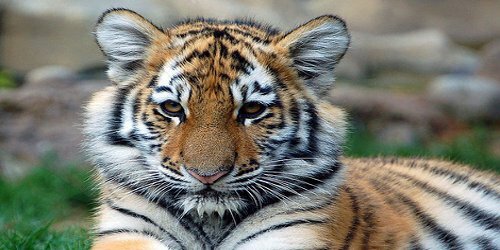 WWF is calling for the U.S. Department of Agriculture to require all people with USDA licenses for exhibition or breeding in tigers to report annually on the number of tigers held, births, mortality, transfer or sale. All the information will be kept in a database for public review. Interestingly, 26 states ban the private ownership of tigers, 8 states don’t have any laws on tigers, and 16 states allow the private keeping of tigers, but require a state permit or registration. WWF has been working to improve the regulation of captive tigers in the U.S. for years, and the recent event in Ohio shows the urgency that something needs to be done. For more information on WWF, please visit http://www.worldwildlife.org/home-full.html.